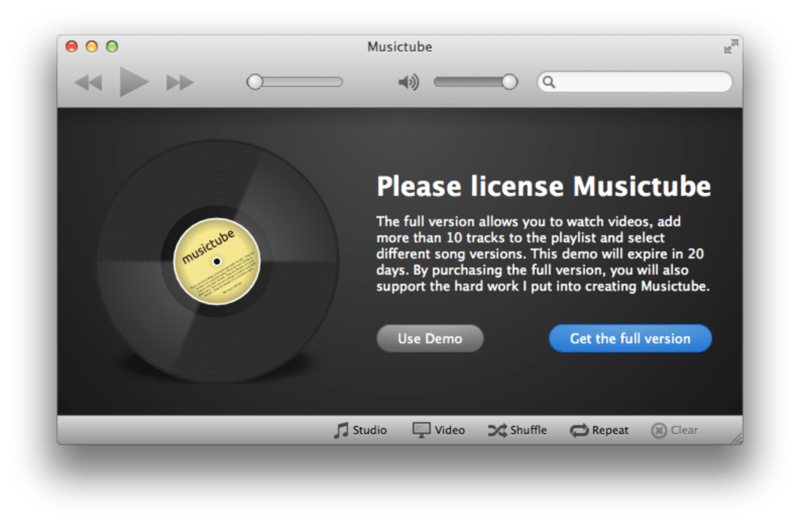 Musictube is an easy to use music player that sources its tracks from YouTube. 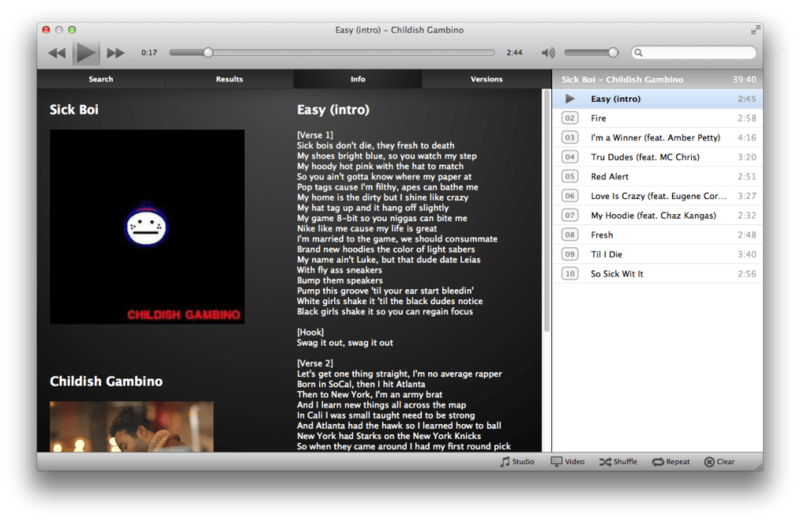 If you love using YouTube to look up music to listen to, you're going to love this music player. Musictube offers a much more elegant solution than searching for different tracks individually on YouTube. Its interface is beautifully designed and will let you quickly search for artists and tracks. When you play an artist in Musictube, the playlist will be populated with tracks by that artist. One of the best features of Musictube is the ability to switch between the live, studio, or cover of the currently playing song. 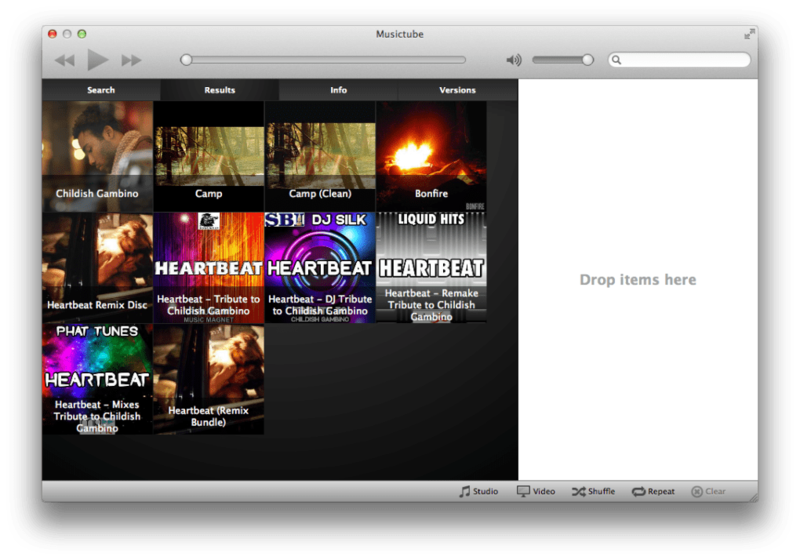 You can also enable the video of the song to be played in a box on the bottom right. Musictube supports up to 1080p video. There is also a full screen mode that lets you enjoy your music distraction free. 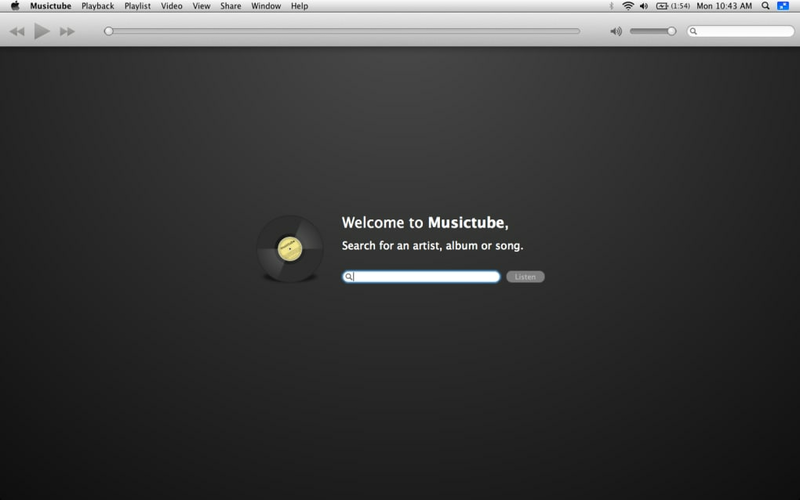 In use, Musictube is very stable and launched quickly. While Musictube is beautifully designed and easy to use, it leaves much to be desired in terms of sound quality, which is to be expected. YouTube uploads don't usually have the best sound quality. 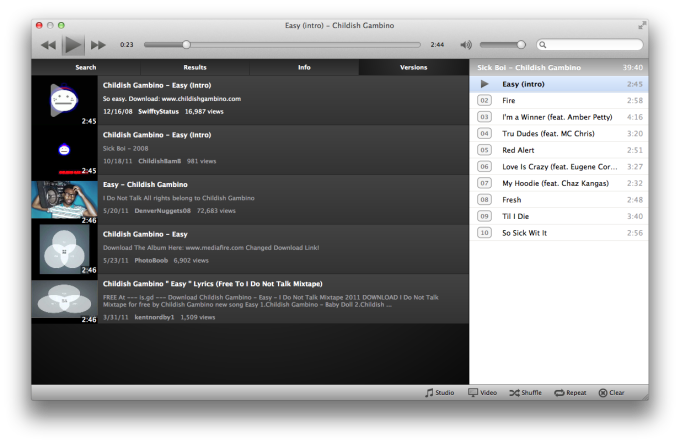 It also would've been nice if Musictube included some music discovery tools. This trial version of Musictube limits playlists to 10 tracks and doesn't support video. Musictube is a well designed and easy to use YouTube music player although the sound quality and music discovery need improvement. What do you think about Musictube? Do you recommend it? Why?